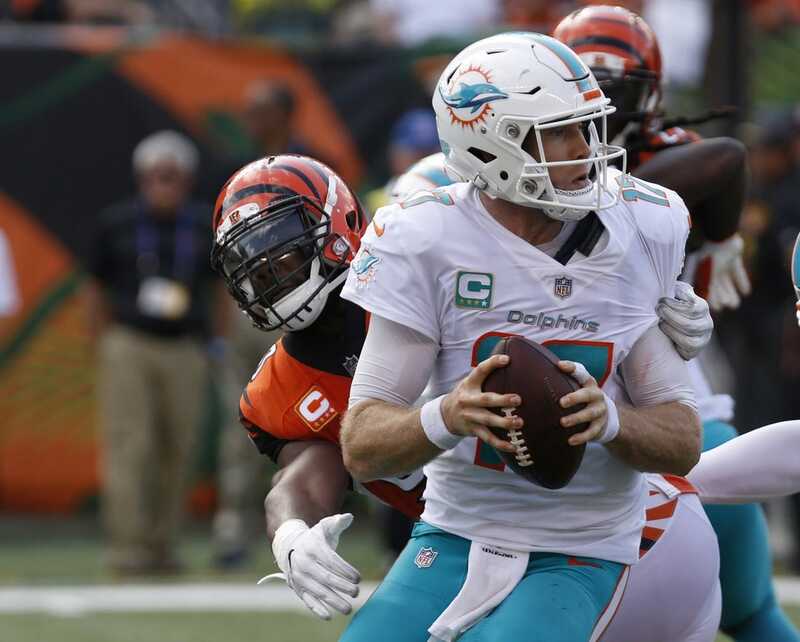 Miami Dolphins quarterback Ryan Tannehill is inactive for Sunday's game against the Chicago Bears due to a shoulder injury. Brock Osweiler will make his first start for the Dolphins. The former Denver Broncos and Houston Texans signal-caller worked with Miami's first team in practice on Friday. Tannehill had been listed as questionable with an injured right shoulder. In five games this season, he has completed 65.9 percent of his passes for 972 yards with eight touchdowns and five interceptions. Osweiler made his Miami debut in the Week 4 loss to the New England Patriots, completing 4 of 5 passes for 35 yards and one touchdown.